With so many burger joints popping up all over Melbourne, there’s never been a better time to be alive. But, with literally hundreds of burger restaurants in the city, how do you choose which ones to go to? Well, we think that picking a burger joint with a delicious menu is a good start. Almost 80 years in business doesn’t hurt either. Oh, and while you’re at it, somewhere that sticks with good, old-fashioned home cooking would be nice too. Well, we’ve found a place that ticks all the boxes! Established during World War 2, Andrew’s Hamburgers is a regular Albert Park institution. The good news is that this delicious haven of traditional burger deliciousness won’t be contained in just one place for long. 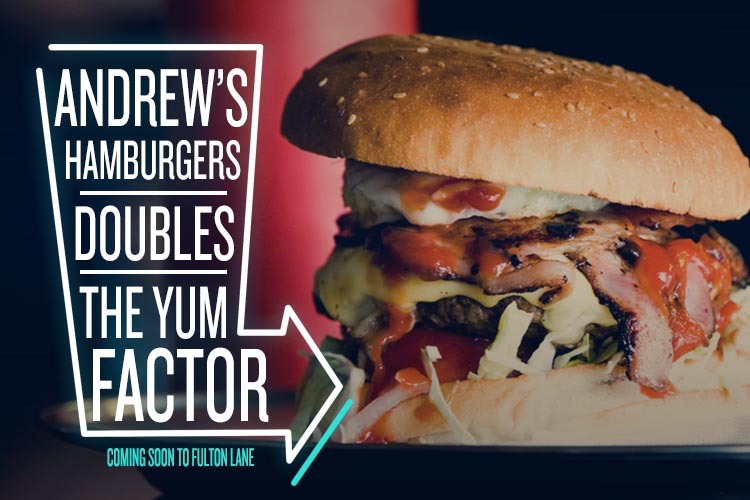 In the coming months, expect Andrew’s Hamburgers to be popping up on Franklin St as part of the new Fulton Lane development. That’s all the burgers you know and love, plus some pretty yummy milkshakes thrown into the mix. We spoke to owner, Greg Pappas, to find out more. Hi Greg, thanks so much for putting aside some time to chat with us. Your great-uncle was the original owner of Andrew’s – did you always know you were going to go into the burger business? Well I actually started helping out every Saturday afternoon at the ripe old age of 12! So I was an obvious choice to continue the family legacy. But it wasn’t until I finished my university studies that I decided (with my family’s help) to buy the shop off my uncle. And the rest is history! Stay tuned for a second Andrew’s Hamburgers! You guys have been in business for almost 80 years now – what do you think is the secret behind your success? Consistency. And the fact that in an ever-changing world, we haven’t changed. You know that any time you come to Andrew’s, you know what you are going to get. You come in as a customer and leave as a friend. You’re a part of the Andrew’s family. We love the fact that Andrew’s Hamburgers is a local family business. Do you have any secret burger tricks that have been passed down through the generations (if you’re allowed to tell us, that is)? The secret is… there are no secrets! We just use great fresh ingredients every time and we don’t cut any corners. Our aim is to give our customers a product that has not changed for over 76 years so people know and can trust Andrew’s. They know what they are going to get – great service and a great old-fashioned burger made the way they used to be. In fact, you could say that every time you bite into an Andrew’s hamburger, you are eating part of history! We think there’s honestly nothing as delicious as a good old-fashioned burger, and it seems like everyone else agrees. Is that why you decided to open up a second location? My partner in business (my brother-in-law) and I have been thinking about it for some time. But in reality, we both just woke up and said, “Let’s do it!” We both think that people will embrace the new location with open arms. There may be some tears along the way but that’s part of the fun. We can’t wait! So we’ve noticed a lot of burger joints have been popping up lately. What makes an Andrew’s burger stand out from the pack? It’s funny how life changes. Burger stores like Andrew’s were everywhere 50 years ago. 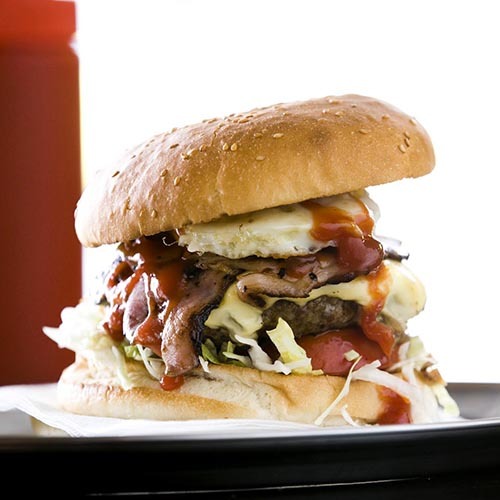 But now we are a niche among all the American style and gourmet burger stores out there. Anyone from 1 to 101 can come to Andrew’s and know that they are welcome! It’s great that anyone can just walk into Andrew’s for a good feed. What do you think goes into creating a great burger? I think the legacy of Andrew’s is in the way we cook. It’s a passion for us. And the proof is when you take that first bite. You can taste the passion behind every burger. As a burger expert, what would you put in your perfect burger? A great beef patty (well-seasoned with salt and pepper), some crispy bacon, a runny egg, and melted cheddar cheese. Then top it with some sauce and American mustard! When you’re not digging into some tasty Andrew’s burgers, where are some of your favourite places to eat? On my days off you will find me at The Emerald Hotel (South Melbourne) and the Railway Club Hotel (Port Melbourne) for some great beers and steaks. I also love my seafood – Rubiras (Port Melbourne) and Clay Pots (South Melbourne Market) are my faves. And when I want to treat the family, we all go to Donovans in St Kilda. 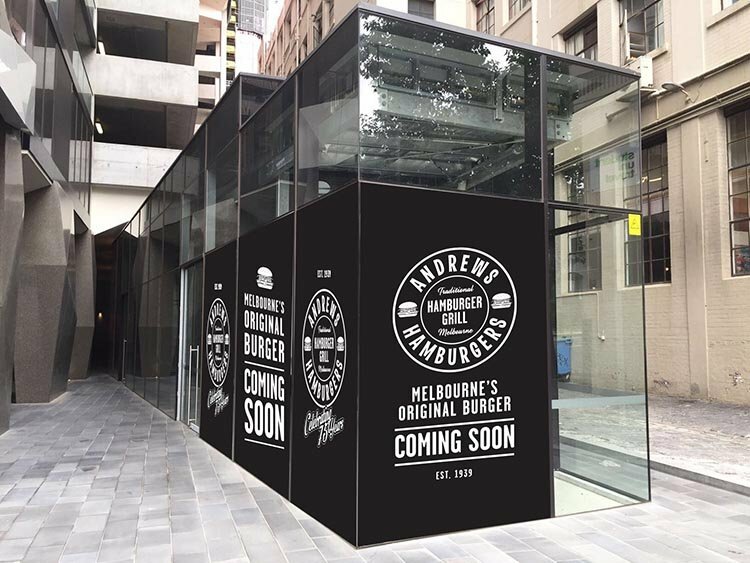 Andrew’s Hamburgers will be opening in Fulton Lane, Melbourne in the next three months. Keep an eye on their Facebook page so you don’t miss out!